A quick snack? Guilt-free dessert? Post-workout fuel? 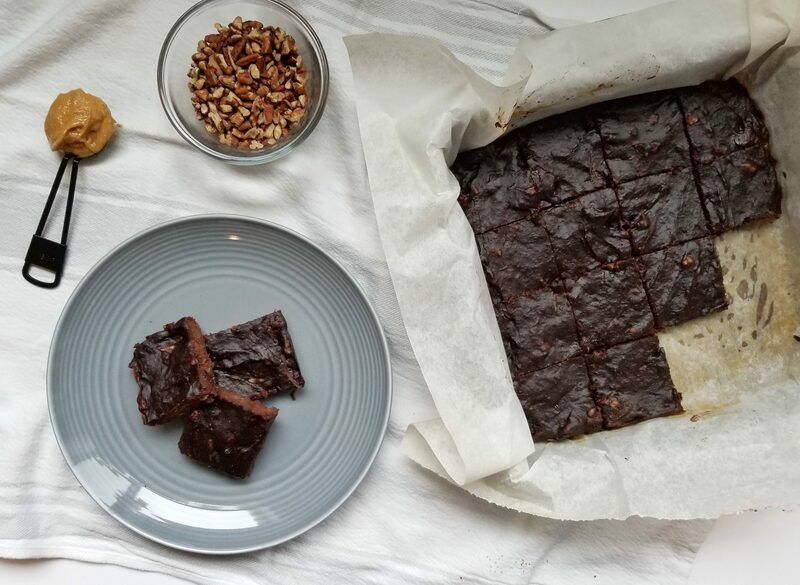 This flourless brownie recipe is high in protein and low in processed foods making it a perfect addition to your busy day. Combine all ingredients in a bowl and mix. 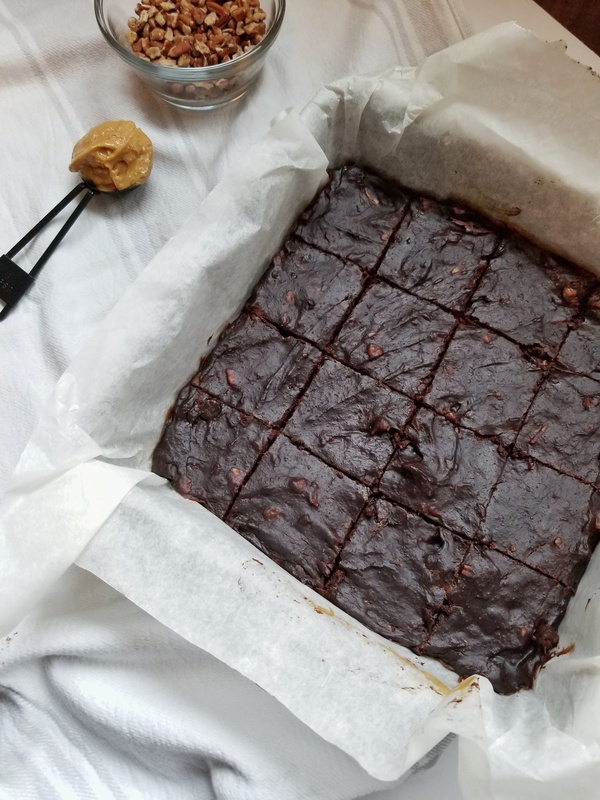 Line an 8 x 8 pan with parchment paper and pour in brownie mix. Bake for 20 – 24 minutes. Remove from oven and let cool. For best taste, let brownies sit overnight in the refrigerator. Kate and I will be making these tonight. thank you for always having such wonderful recipes! Get the latest in fitness and nutrition.